If you prefer to get you Noir on at home. We suggest Greenside Des Moines products made to enhance your classic viewing experience. 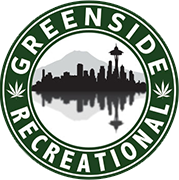 Look for Greenside Recreational Seattle to be back to selling Seattle’s best buds soon. Spellbound is a 1945 American classic directed by Alfred Hitchcock. It tells the story of the new head of a mental asylum who turns out not to be what he claims. The film stars both a young Ingrid Bergman, Gregory Peck so it promises to be as pretty as it is thrilling. Since it’s a major plot point go with some Amnesia from Clandestine with 27.1% THC for $15 per gram or $50 3.5 grams. The Big Sleep was directed by Howard Hawks, the first film version of Raymond Chandler’s 1939 novel of the same name. The movie stars Humphrey Bogart as private detective Philip Marlowe and Lauren Bacall in a story about the “process of a criminal investigation, not its results.In 1997, the U.S. Library of Congress deemed the film “culturally, historically, or aesthetically significant,” and added it to the National Film Registry. For your “Big Sleep”, we suggest Indica Serum from Ethos Extracts with 57.6% of THC and 14.7% CBD for $54 per gram.